Wiber, M., Young, S. & L. Wilson. 2011. Aquaculture-Traditional Fishery Interactions in Southwest New Brunswick: Implications for Future Research. OCN-Canada Policy Briefs, Volume 1 (January – April 2011). Charles, A. 2011. Integrated Ocean Management and the Fisheries Sector: Interactions, Economic Tools and Governance Structures. Report prepared for Fisheries Department, Organisation for Economic Co-operation and Development (OECD). Paris, France. Charles, A. 2011. Human Rights and Fishery Rights in Small-Scale Fisheries Management. In: Small-scale Fisheries Management (R.S. Pomeroy & N. ANDREW, editors). CAB International. Charles, A. 2010. Distributional Impacts of Marine Protected Areas: A Spatial Bioeconomic Analysis. Natural Resource Modeling 23:218-252. Charles, A. 2010. Good Practices in the Governance of Small-Scale Fisheries, with a Focus on Rights-Based Approaches. Prepared for FAO Workshops on Securing Sustainable Small-Scale Fisheries: Bringing together responsible fisheries and social development. Food and Agriculture Organisation of the United Nations, Rome, Italy. Working Papers, Working Paper No. 123. Wiber, M. & M. Recchia. 2010. Legal pluralism and integrated management in Saint John Harbour, Canada. MAST 9(1): 81-101. Charles, A., Wiber, M. Bigney, K., Curtis, D., Wilson, L., Angus, A., Kearney, J., Landry, M.,Recchia, M., Saulnier, H. & C. White. 2010. 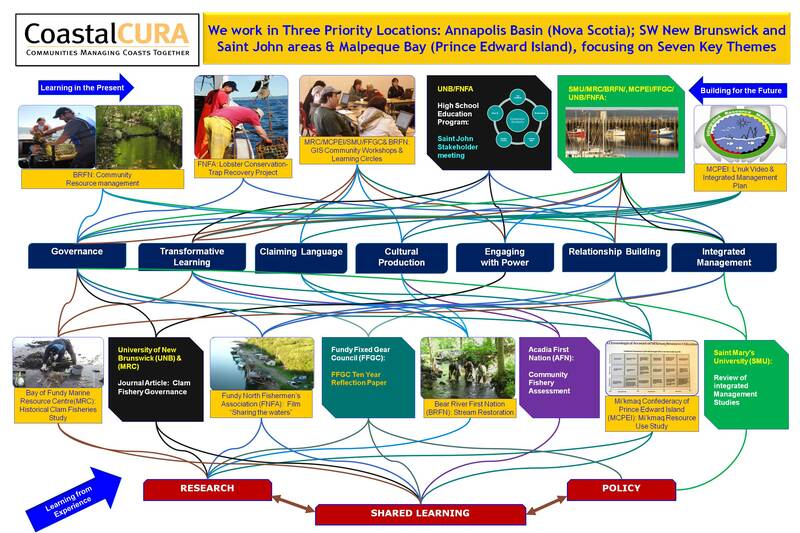 Integrated Management: A Coastal Community Perspective. Horizons 10(4):26-34. Wiber, M., Rudd, M., Pinkerton, E., Bull, A. & A. Charles. 2010. Coastal management challenges from a community perspective: the problem of ‘stealth privatization’ in a Canadian fishery. Marine Policy 34:598-605. Wiber, M. 2009. The Spatial and Temporal Role of Law in Natural Resource Management: The Impact of State Regulation of Fishing Spaces. In F. and K. von Benda-Beckmann and Anne Griffiths, eds., Spatialising Law: An Anthropological Geography of Law in Society. Ashgate. Pp. 121-154. Wiber, M. & A. Bull. 2009. Re-scaling Governance for Better Resource Management? In: F. and K. von Benda-Beckmann and Julia Eckert, eds. Rules of Law and Laws of Ruling. Pp. 151-170. Surrey, UK: Ashgate. Wiber, M. & J. Kearney. 2009. Learning Communities and Legal Spaces: Community-Based Fisheries Management in a Globalizing World. In F. and K. von Benda-Beckmann and Anne Griffiths, eds., The Power of Law in a Transnational World. Berghan Press. Pp. 137-155. Wiber, M., Charles, A., Kearney, J. & F. Berkes. 2008. Enhancing Community Empowerment through Participatory Fisheries Research. Marine Policy 33:172-179. Kearney, J., Berkes, F., Charles, A., Pinkerton, E. & M. Wiber. 2007. The Role of Participatory Governance and Community-Based Management in Integrated Coastal and Ocean Management in Canada. Coastal Management Journal 35(1):79-104. Wiber, M. & C. Milley. 2007. 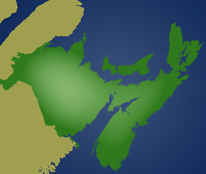 After Marshall: Implementation of Aboriginal Fishing Rights in Atlantic Canada. Special Volume of the Journal of Legal Pluralism 55:163-186. Wiber, M. and Recchia, M. Coastal CURA - Communities Managing Coasts Together. Wiber, M. and Recchia, M. Calling for Integrated Management of Saint John Harbour. Paper prepared for the 8th Bay of Fundy Ecological Partnership Science Workshop, May 2009, Acadia University. Melanie Wiber, Murray Rudd, and Maria Recchia. 2009. Draft Report: Costs and Earnings Survey, Inshore and Onshore Fishing Sector, SWNB. Draft #2. The Coastal CURA is following developments in the planning and management of Saint John Harbour. A proposed oil refinery development in Saint John Harbour is currently on hold, but the environmental impact assessment was completed. (Read the Federal EIA report prepared by Jacques Whitford). The federal government is currently receiving public response to the EIA Report. Our CURA partner, Fundy North Fishermen's Association, prepared a response (View Eider Rock EIA comments - FNFA). Poster: Integrated Shellfish Management in the Bay of Fundy. Comparing the Role of ACAPs* in Nova Scotia and New Brunswick. Courtenay Parlee:Alternative Dispute Resolution: Can it Advance the Stated Policies of Integrated Coastal Zone Management in Canadian Fisheries and Oceans?